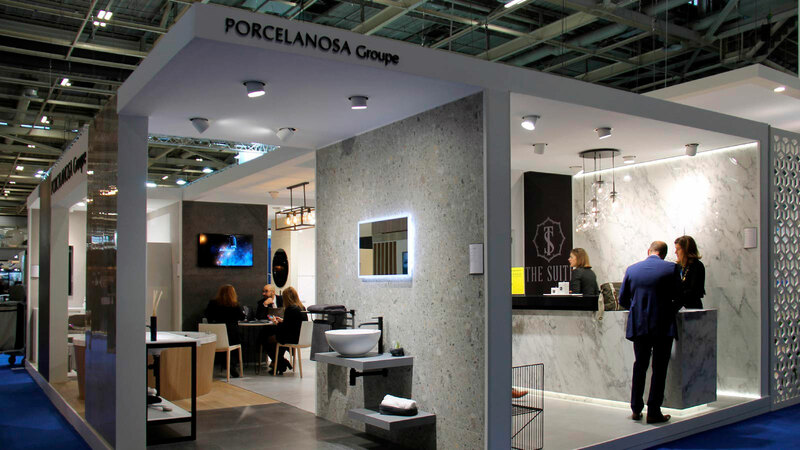 The PORCELANOSA Grupo presents its collections for hotels and restaurants at the Equip’Hotel International Fair. These new times bank on new designs and shapes. Specifically, in the contract sector, whose establishments are in constant transformation depending on the habits and demands presented by its customers. In anticipation of those changes, the Equip´hotel international fair of restaurants, hotels and catering will showcase the advances and results which are being developed in the sector through the 1.600 exhibitors. 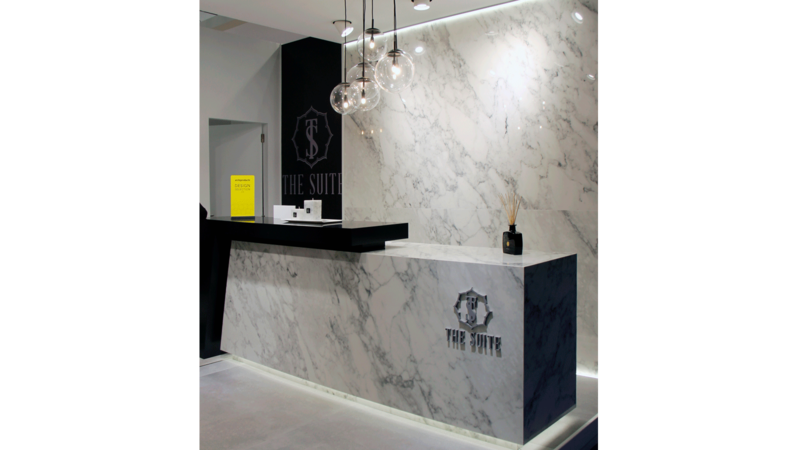 The PORCELANOSA Grupo will be present at the Pavilion 4 stand C071 with the reproduction of a hotel and its different atmospheres. 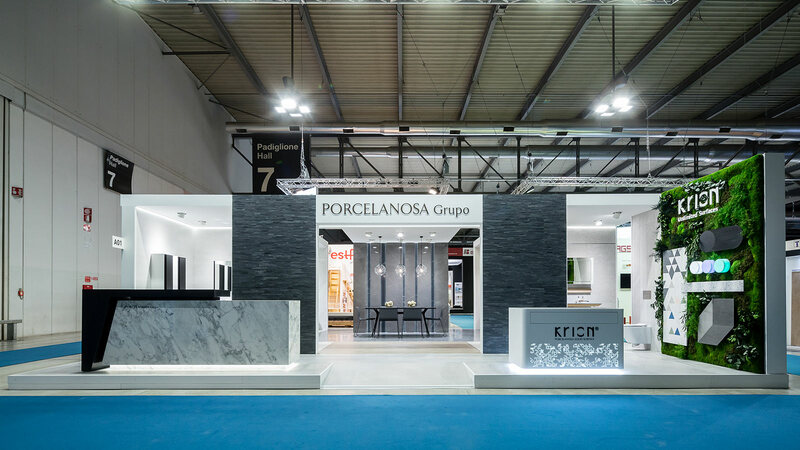 The floor tiles, wall tiles and equipment for kitchens and bathrooms from the eight firms from the Grupo, offer a new concept of business based on design and innovation. The mosaics with irregular reliefs are one of the commitments that the PORCELANOSA Grupo presents for these new hotels. The Gravity Aluminium Braid collections, in its titanium metal gloss, or the Paradise Arrow and its different tones in stone: white, grey or black; are some of the outstanding designs from L´Antic Colonial. 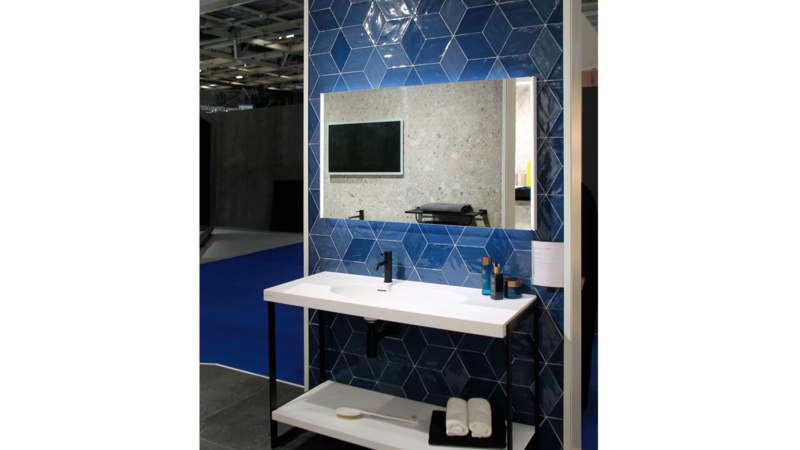 The firm has also included the Rhombus cutting-edge ceramic, advertised at Cersaie 2018. 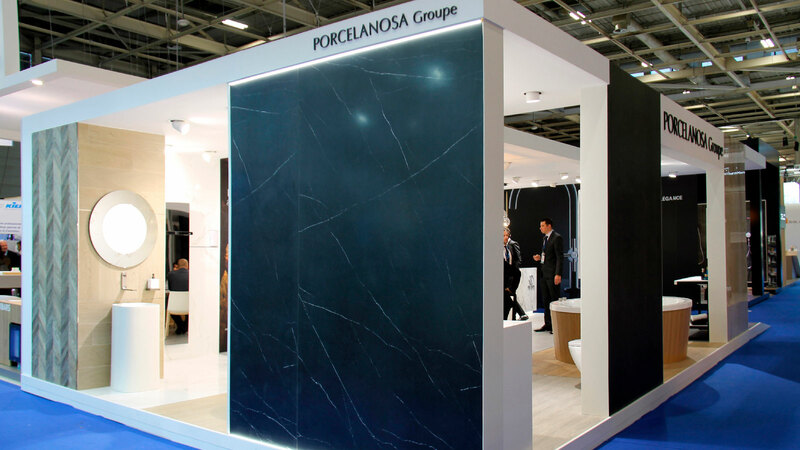 The latest design by Porcelanosa is called HIGHKER. 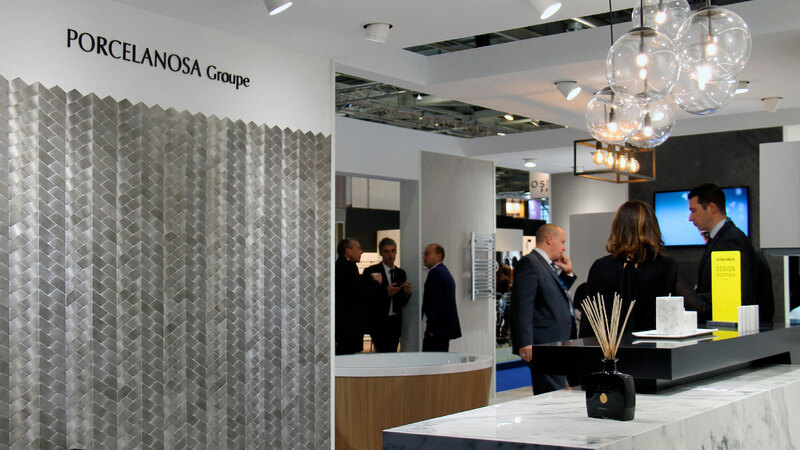 The large-format ceramic floor tile, 120cmx120cm and 100cmx100cm, launched at Cersaie 2018, has become an attraction for high-traffic spaces such as halls and hotel reception desks. Among its collections, it is worth highlighting: Bottega, Harlem, Rodano, Nantes, Prada and Matt. Versatile pieces of high quality and resistance. Solvency for tomorrow. 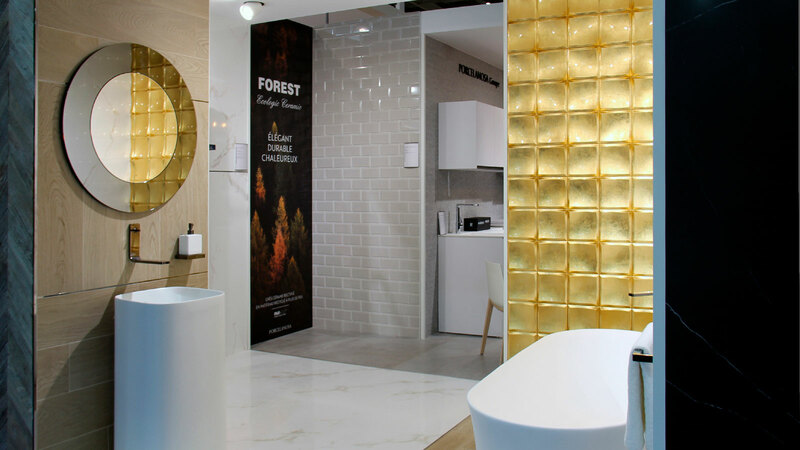 The countertops for bathrooms or kitchens offered at this fair are characterised by their structural strength. This is the result of using XTONE, the large-format porcelain tile available in 13 colours. 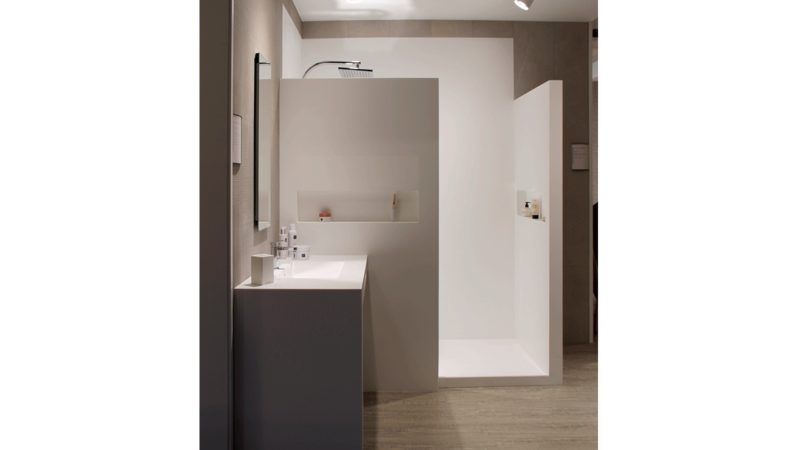 The KRIONTMSolid Surface is a strong commitment to shower trays and wall plates. 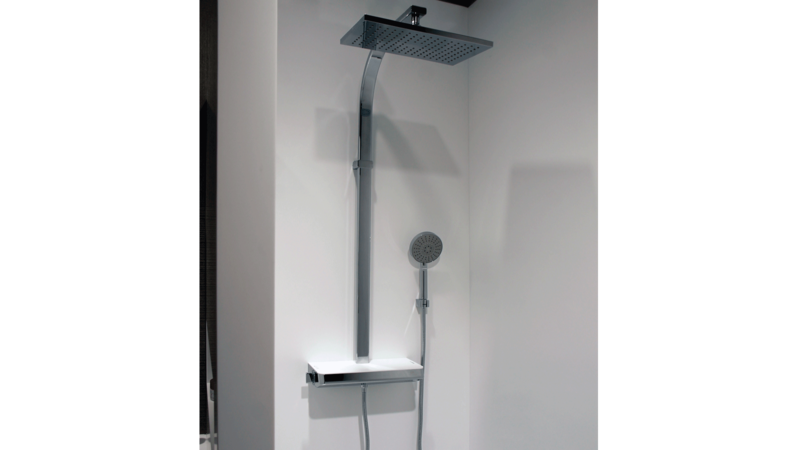 Its jointless finish ensures a result with leak-free joints, while making visual continuity possible. Endless creativity. 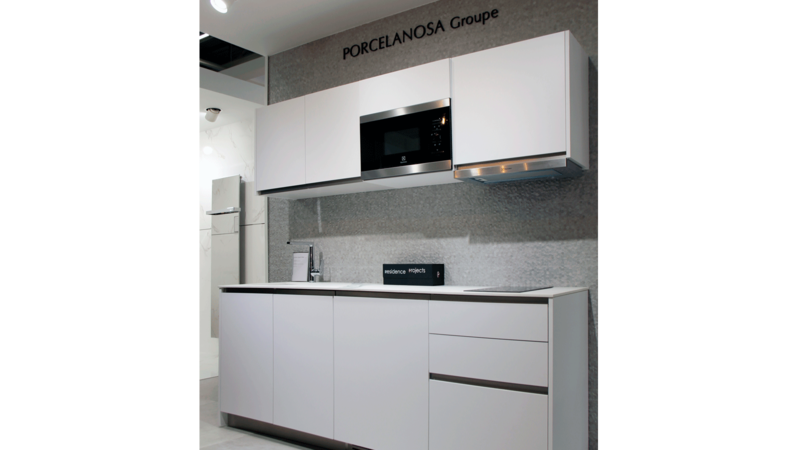 The New Residence and Projects collections from Gamadecor are two of the commitments for 21st-century kitchens. Their wide range of colours and finishes meet the demands and tastes of the expert hoteliers. Customised selection. The bathroom has been thought up to be the perfect space to escape in. 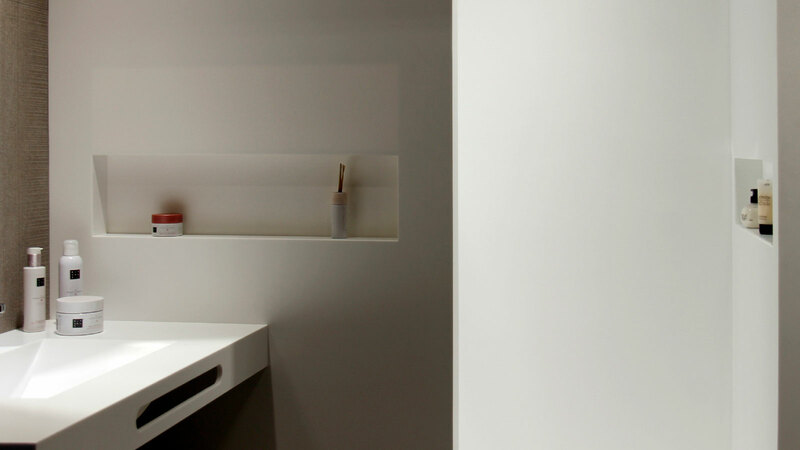 This is the case for the modular design offered by the resistant Project Tech countertops from Noken Porcelanosa Bathrooms. The firm also banked on the titanium through the Lounge collection by Simone Micheli, along with the Arquitect basins. 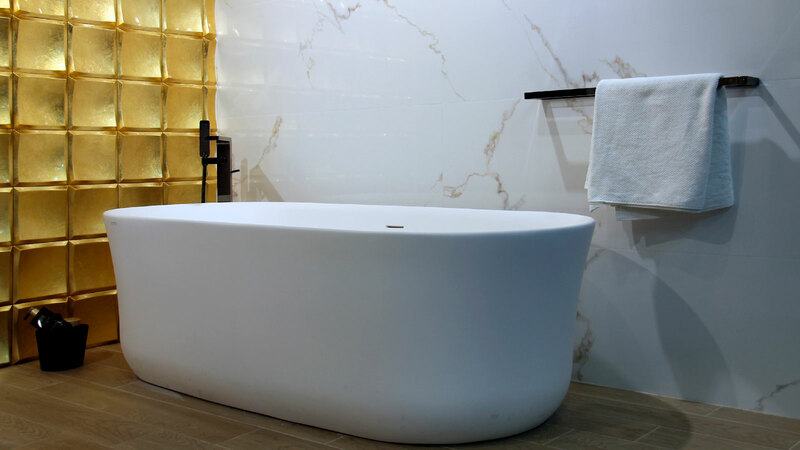 Sculptural pieces for a signature bathroom. 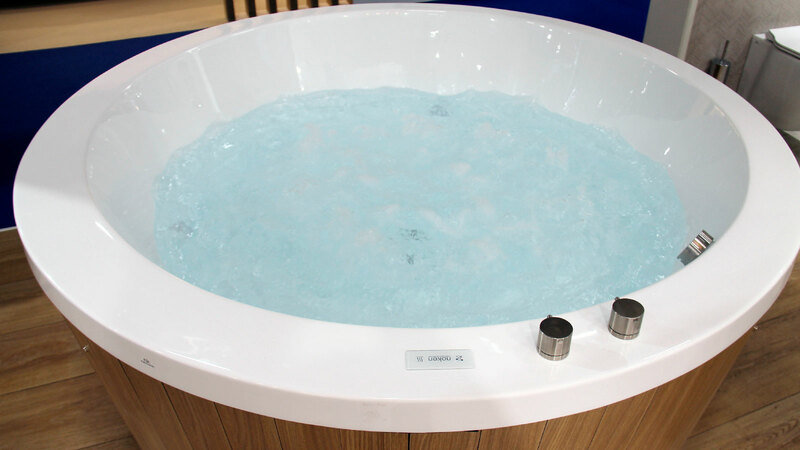 The Wellness experience suggested by this firm can be found in the Soleil Round whirlpool bath with the Outside equipment which, makes it possible to be included in outdoor spaces such as terraces or penthouses. 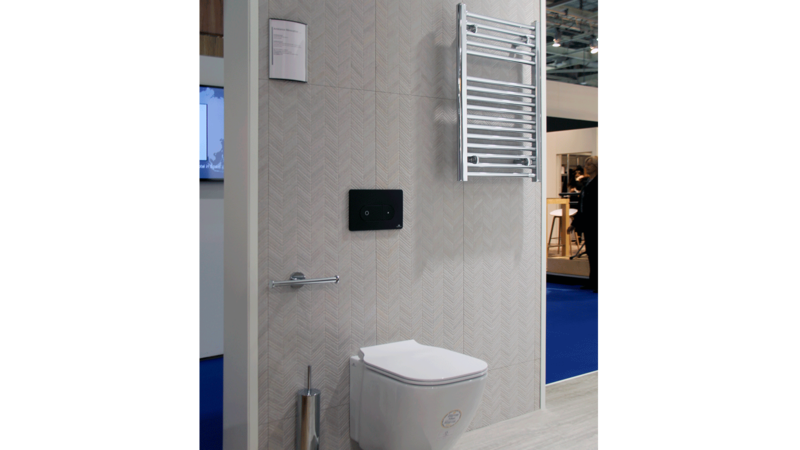 The colourful wall tiles offered by Venis give the interior spaces a fresh touch. For instance, the Metropolitan collection, the Dayton collection inspired by the Piacentina stone or the Deco Infinito black shade variation, included in the Magma Black. 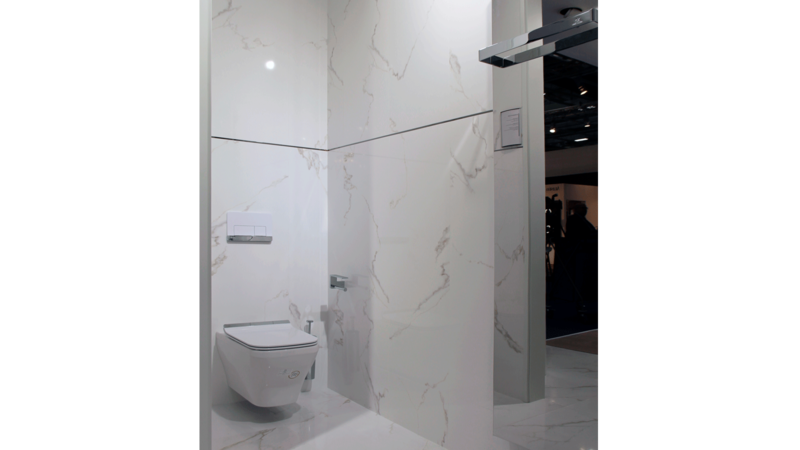 In the latter, the recrystallised quartzite is characterised by its parallel lines in white and quartzite tones. The material formats are: 33.3cmx100cm for wall tiles, 59.6cmx59.6cm and 80cmx80cm for floor tiles. 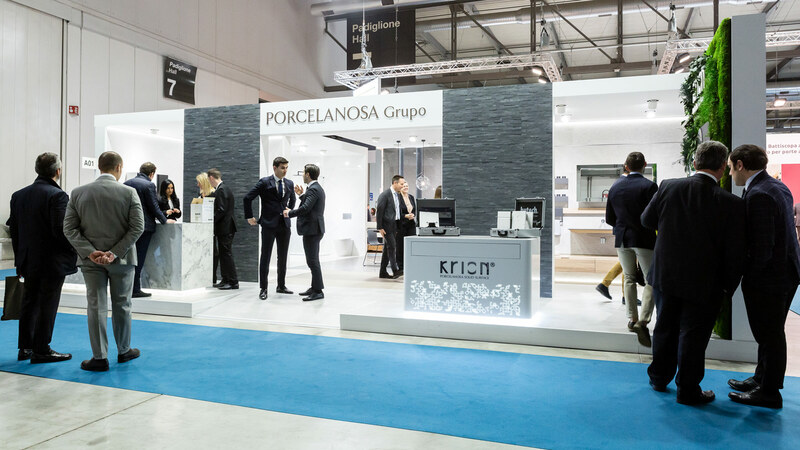 Butech presented the latest innovations in decorative profiles with the Metal and Pro-light collections. 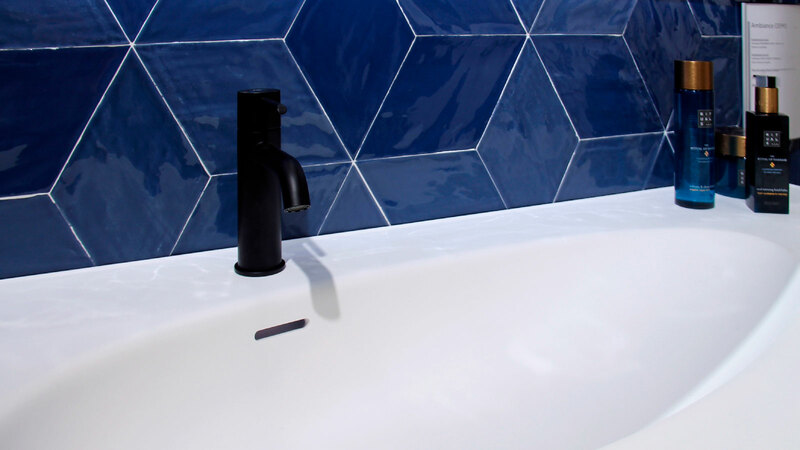 Two options which enhance the properties of ceramic. 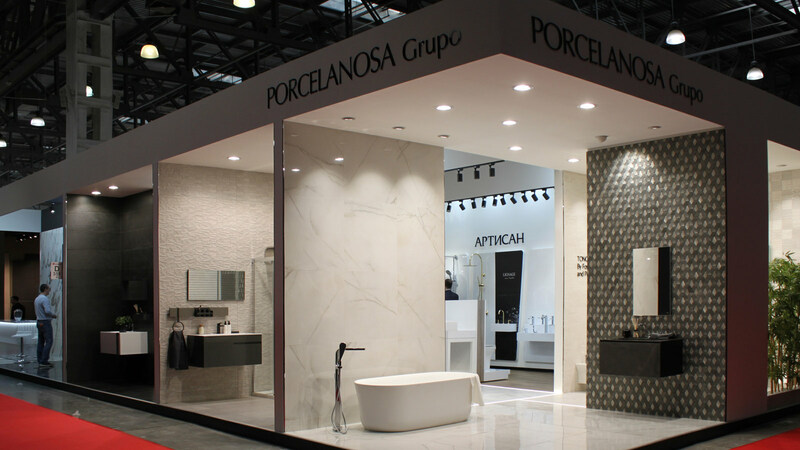 Cult originality through the PORCELANOSA Grupo.